Physical therapy billing is a complex, evolving subject. As clinicians, there used to be a time when all we had to do was use ICD and CPT codes and get paid. Now we have to worry about Functional Limitation G-codes, MIPS and so much more. A physical therapy billing company can act like an extension to your clinic to help you become more compliant while maximizing your reimbursment. The speed and efficiency of your physical therapy billing person / service will directly impact cashflow in your practice. The decision to select a medical billing company is a very important one, with no room for error. 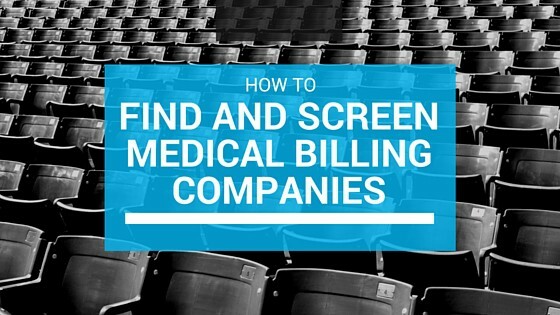 In this resource, you will discover how to find, screen and hire the right medical billing company for your practice. Here are some of the things you should be looking for as you evaluate different options. The billing service should offer an integrated EMR and billing software / clearinghouse combination to go hand-in-hand with the service – a software and services ecosystem. So you have ONE company that handles scheduling, documentation and billing. A streamlined work flow requires software integration, so your EMR/EHR (such as In Touch EMR) ,practice management software, and billing should all flow together in one continuous cycle. Your staff will have real-time insight into everything the billing team is doing. The practice owner or clinic manager should be able to audit billing flow and correlate revenue with front desk efficiency and clinical productivity. For clinics operating in conjunction with, or under the business umbrella of a hospital, the ability to handle both CMS (HCFA) 1500 as well as UB-04 claims is necessary. 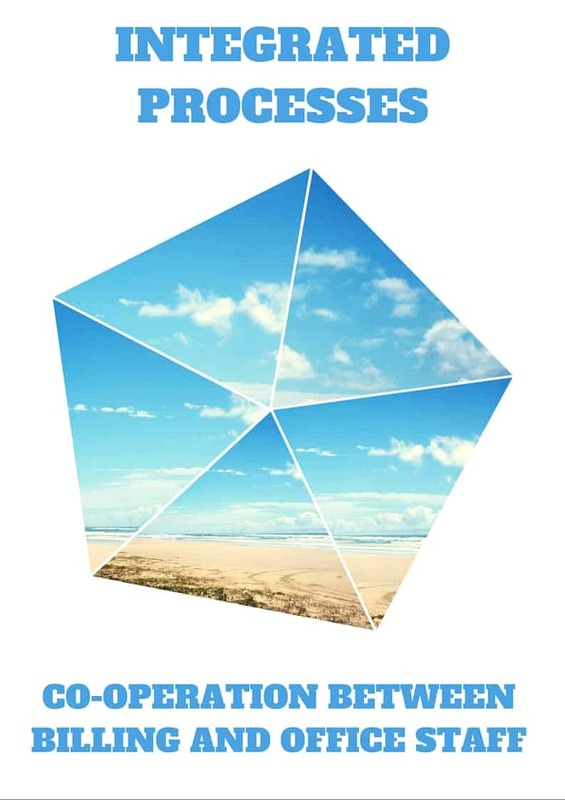 The clearinghouse is an important part of this process. The company should have the capability to submit claims using different clearinghouses, depending on the specific need of the practice. They should not be ‘tied to’ or ‘bound to’ one clearinghouse or one billing software. While most clinics have no preference of one clearinghouse over another, an outsourced billing service with the ability to submit claims through different mechanisms (more than one clearinghouse) has a competitive edge. The clearinghouse should coordinate with the billing company to ensure timely payer enrollments. What are payer enrollments? Payer enrollments represent the ‘channel’ by which a claim is transmitted from the billing software to the insurance company via an intermediary (clearinghouse). The enrollments process simply ensures that the claim is correctly transmitted from point A to point B, since the software, the clearing house, and the payer need to be in sync 24/7. In order to measure how a billing service is performing, it’s important to understand the concept of “good performance” as it related to an outsourced billing service. These concepts are called ‘Industry Standards’ The two most important ones are collections percentage and first pass acceptance rate. The collections percentage is the amount collected relative to the amount billed out. So if the amount billed out is $100 and the amount collected is $80, the collection percentage would be 80%. Most companies charge a flat fee, which is a percentage of the the amount the billing service charges, calculated as a percentage of the total amount they collect on the clinic’s behalf. Avoid any billing service that charges based on the total amount billed out. It doesn’t matter what is billed out, it matters what is collected. There is a difference between the amount billed (known as the ‘charge amount’ or the ‘fee schedule’) and the amount collected (the amount you are contractually obligated to accept, and the amount the insurance company is legally required to pay you for services rendered). Typically, there is a significant difference between these amounts. For example, you may charge $200 for an initial evaluation, but the collected amount may be $90, as stated in your contract with the payer. The medical billing company should collect the entire $90, and should charge you a percentage of the $90 once the clinic receives that amount (as evidenced by EOBs and ERAs). Collections percentages should be based only on the amount collected by the company on behalf of the clinic. The clinics should not be paying for claims that may never be reimbursed. The medical billing company should remain motivated to secure the highest reimbursement possible in the shortest amount of time. The more they collect, the more money the clinic makes, and the more money the billing company can legitimately charge (based on the amount collected). The easiest way to think of it is: the medical billing company should only get paid when the clinic gets paid. The ‘Industry Standard’ for average collections percentage is currently 5-6% of collections, depending on claim volume. Companies may also charge a monthly minimum for billing to cover overhead in the event that the clinic has an unexpected period of lower claim volume. This is a common practice, but be sure to do the math with monthly minimums. A common tactic of unscrupulous companies is to advertise low percentages, but hide high monthly minimums in their contracts. Monthly minimum charges should never be higher than what a clinic would reach during an average billing cycle and should always be openly discussed in early negotiations. The ‘first pass acceptance rate’ is the success rate of claims being submitted to a payer, via a clearinghouse, and being accepted and paid accordingly on the first attempt. A medical billing service company like In Touch Billing has a first pass acceptance rate of approximately 99%. The best companies are very competitive with pricing, and have a collection percentage lower than 6%, while maintaining a first pass rate well above 98%. BONUS TIP: Another ‘Industry Standard’ is the length of the contract term. This is the term of the contractual agreement between the practice and the billing company. Most contracts will automatically renew after the initial term unless renegotiation is requested by either party (usually the clinic). While practices should never expect to automatically get a lower rate after an initial term, billing companies should remain open to renegotiation based upon increases in claim volume. Additionally, beware of any medical billing company that requires a length of term longer than 24 months. Common terms are 12 months and 24 months. Any longer, and there may be unknown risks or ulterior motives. Technical language can make the screening process overwhelming or convoluted, but here are some simple parameters to help you evaluate compliance efforts in era of ever-tightening regulations. Companies should comply with HIPAA, FDCPA, Patients Privacy Act and HITECH regulatory standards. They should be ISO 27001 certified to ensure the highest level of data protection at all times. The International Organization for Standardization (ISO) 27001 certification helps companies establish effective data management systems. The medical billing company should also be ISO 9001 certified on the basis of continual improvement initiatives related to the transparency of data and increase in quality of services. An aspect of security sometimes overlooked is FTP, also known as ‘file transfer protocol’. Before considering a medical billing company, always ask if they have their own secure FTP servers. Are they storing data on dedicated servers, or shared servers? Ask your medical billing company about their protocols for HIPAA cloud computing, platform and information security services. Do they have a secure, HIPAA-compliant cloud infrastructure to store, manage and protect their patient health information and critical applications? Does this infrastructure strict HIPAA and HITECH regulatory requirements to deliver compliance? Do they have state-of-the-art protection, including real-time monitoring, data encryption at rest and in motion, intrusion prevention and multi-tier authentication? Can you expect 100% redundancy, 100% network uptime, 100% assurance of information technology business continuity, 99.999% server uptime (.001% is for scheduled maintenance) and high availability, fast application speed with high performance and bandwidth connections? Medical coding, billing, and receivables management are objective, data-driven aspects dependent on the biller’s workflow and efficiency of the biller software. The correct workflow for claim submission, follow-up and payment posting is critical. The entire acco unts receivable cycle should be carefully and painstakingly monitored by the billing company. Upon receipt of documentation and claim information, the first step is for the medical billing company is to check the claim for any errors with dates of service, place of service, ICD-10 codes, CPT codes and applicable modifiers. If necessary, the coding team should review clinical documentation to ensure medical necessity. The entire process takes place faster, and with greater efficiency, when the software and the services ecosystem are fully integrated. Once documentation is finalized, the associated claim should automatically appear in your integrated practice management and billing software. Your staff should have access to this system, and the billing team should start working on the claim immediately. If this mechanism is not in place, the practice must provide all necessary information and all necessary logins to the billing team. As a general rule, notes should be finalized within 24 hours of the patient appointment. Ideally, they should be completed during the patient encounter. Claims should be created and transmitted to the billing service automatically, and the claim should be reviewed, scrubbed, verified, corrected (if necessary) and submitted to the payer the same day. A practice that uses an ONC-certified EMR platform will provide the billing company with diagnosis codes (ICD-10) to the most specific level, correctly apply functional limitation G-codes, information justifying the use of the CPT codes (and duration), and PQRS will automatically be reported. For best results, use an ONC certified EMR/EHR platform that is also it’s own PQRS registry, like In Touch EMR. If a practice is not using an EMR platform that automates these processes, the medical billing company should have stringent protocols – checking each aspect of the claim data while performing other procedural checks, such as for NPIs, payer identification numbers, claim specific patient demographics, etc. When searching for a medical billing company, ask their team includes an EDI specialist, someone who analyzes rejected claims (should they occur), corrects the errors, and resubmits clean claims. Simultaneously, any errors should be logged with other billing team members responsible for charge entry and other on-staff coding specialists to minimize re-occurrence of errors. It is important to make sure that a payment posting team quickly reviews and posts EOB files (received by way of scanned files or faxes from your clinic). Similarly, when ERAs arrive from the clearing house, they should be posted the same day. Before posting payments, this team should analyze and reconcile deposit slips, insurance check copies, patient payments, etc., and calculate total payments received by batch, and analyze the amounts received from the payer. Make sure that the contract between the practice and medical billing company includes the services of a dedicated accounts receivable (AR) specialist. This specialist generates reports of claims which are unpaid for more than 30/60/90 days and analyzes them. The The AR specialist follows up with the payer with respect to the pending claim status, analyses why the claims remain unpaid and takes appropriate action to get the claim paid. This is a crucial position within the billing company, and you must make sure a dedicated AR specialist is available. Before you make a decision about your medical billing company, integrated with practice management and EMR software, ask about reporting capabilities. Medical billing software with strong reporting capabilities give you an unprecedented level of insight into what works, and what does not. must have. Every metric in the system from intake to posting should be available for analysis, in any given time frame. This setup allows practice owners and manager to analyze trends involving referral sources, income based upon ICD-10 and CPT code usage, provider performance, rejection and denials over time based on provider, clinic and much more. For companies or setups that don’t fully integrate all of these features, a 15 day and 30 day billing summary should be provided alongside all weekly standard accounts receivable reports. The medical billing company should also provide an option to send patient statements on behalf of the practice. BONUS TIP: Avoid interactions between billing companies and patients. Once the statements are sent, the patient should communicate with the practice in all matters, even those related to payments. This allows the practice to control and improve all aspects of the patient interaction. The patient experience is the responsibility of the clinical staff, and as a general rule, should be kept in house. Knowing what to look for, what to expect, and asking the right questions can simplify the complicated process of finding and screening a medical billing company. Remember, you are looking for an ally in the quest for full and prompt payment from insurance companies. In Touch Billing provides billing and coding services with a team of experienced, and dedicated billers and coders, certified by the American Academy of Professional Coders (AAPC). In Touch Billing has an average first pass rate 8% higher than industry standard, with costs averaging 2% lower. In Touch Billing is one of the few medical billing companies in the country, that offers unlimited support via phone, email and live chat. We guarantee to lower your medical billing costs, and provide you with outstanding customer service. This no-obligations 10 minute call has helped thousands of practice owners across the country reduce costs, and increase monthly revenue.. and now it’s your turn. When an integrated software suite, consisting of an EMR, scheduler and billing software, combined with a meticulous billing service, your practice can save tens of thousands of dollars each year. Learn more in our no-obligations, no-pressure discovery call. You’ll see for yourself why In Touch Billing is a full-service billing company unlike anything you’ve ever seen.